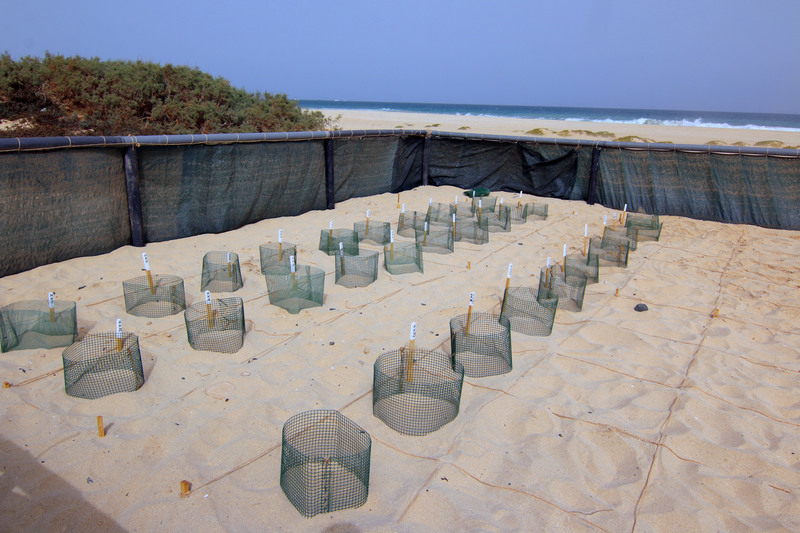 Cape Verde is the world third reserve for the number of Caretta Caretta turtle nests, after Omani and Florida. Boavista is the island where they nest more. 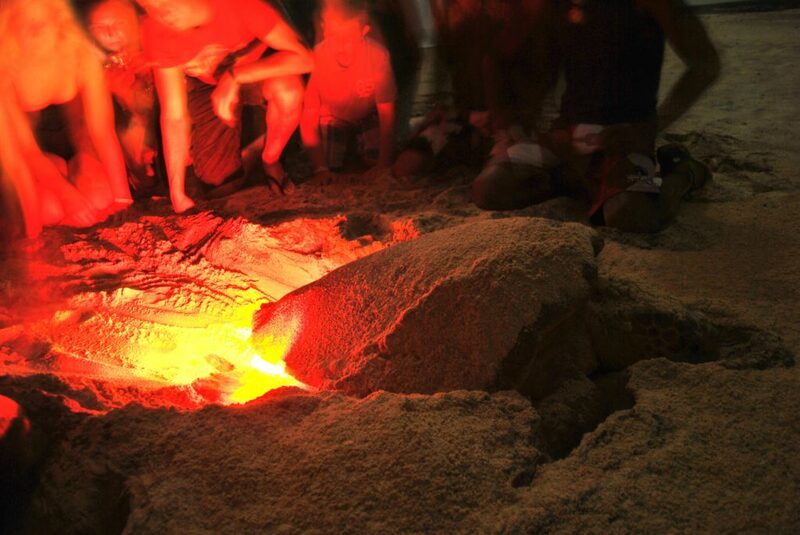 The guided tours to observe the deposition of sea turtles take place at night from July to mid-October. August is the peak month of the spawning season. The observation of the turtles contributes to the survival of these ancient creatures, showing to the inhabitants of the archipelago that a living turtle is worth more than a dead one. In fact, once they were very hunted and sold to the market for their bones and their meat. 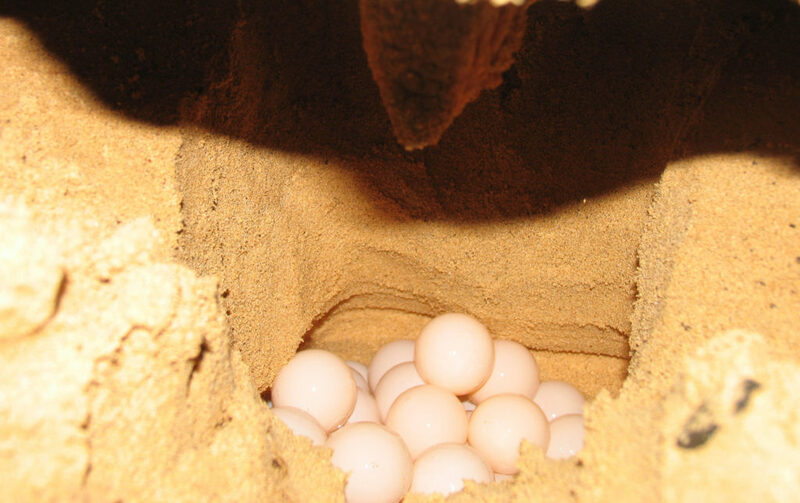 Unfortunately turtle eggs are still today a dish that is consumed illegally in some areas of the archipelago. 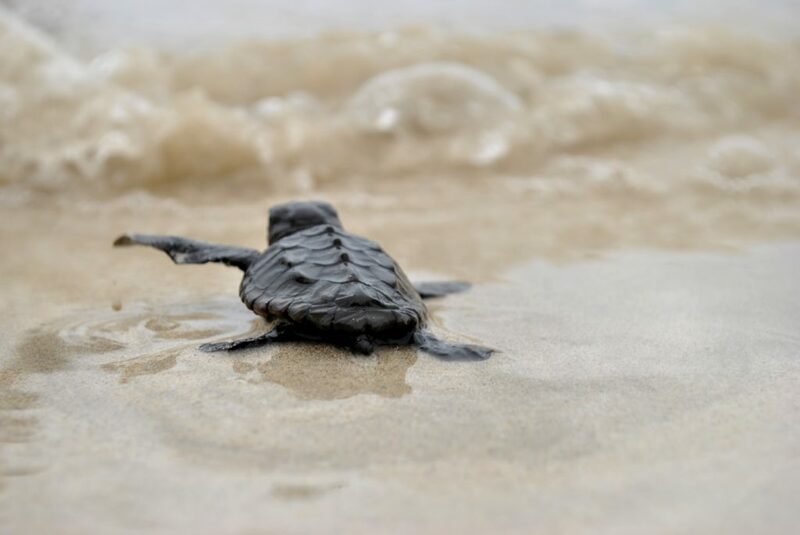 Often the turtles that reach the beach do not lay their eggs because they can’t find a suitable place on it. Sometimes just a noise, a type of sand too hard or an annoying light may them recede. However, the possibility of seeing at least one turtle during the summer season is almost 100% guaranteed. – It is advisable to wear comfortable shoes and wear a light sweatshirt: sometimes at night, near the sea, it’s windy. Not recommended heels or elegant clothes. – Be punctual at departure time, as transport is usually on time. 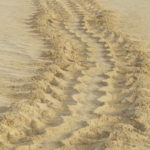 – We advise not to go alone: the road to get to the turtles’ beaches is very rough, impervious and without directions. Going with the local official guides is guaranteed the visibility of the turtle (even more than one in some evenings) and with personalised assistance. – By booking on this page your request is forwarded directly to the authorised agencies. 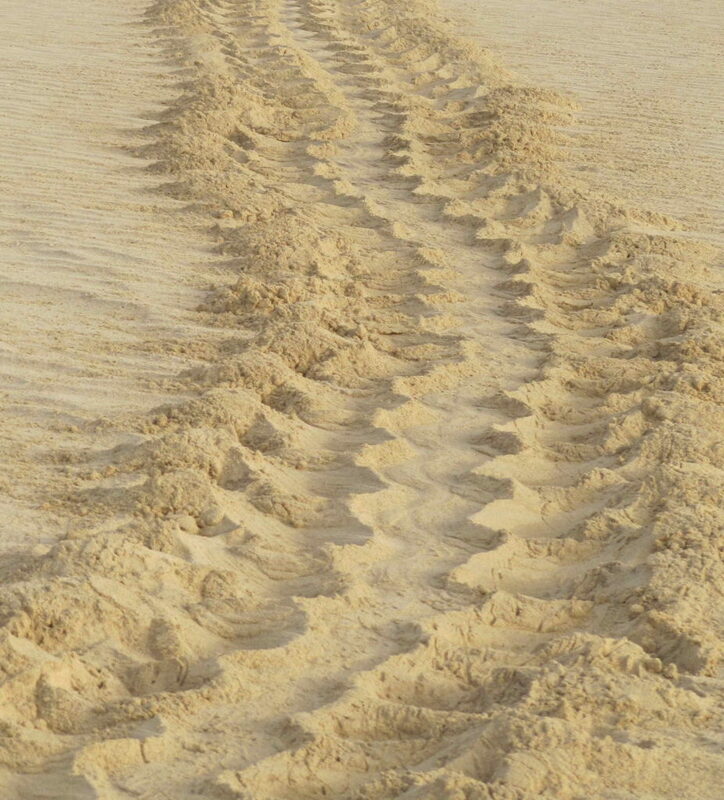 After a journey of about an hour by car (with off-road vehicles) you arrive at the turtles’ beaches on the southeast coast of Boavista. Once in the researchers’ camp, you are welcomed by the guides, who speak your language. A briefing will provide you general information on the biology of sea turtles and on the ongoing protection in Cape Verde, but also the basic rules to follow to minimize the disturbance to the animals. During the evening it will not be possible to take photographs, even without flash. Turtles are easily frightened, despite being harmless. 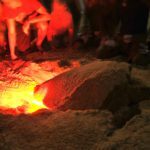 You will be able to observe closely and touch the turtle as soon as it has finished making its nest. In fact, during the deposition phase it falls into a state of temporary “coma”, which allows biologists to study and measure it. 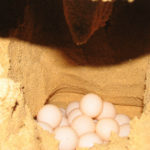 During the hatching period, it will be possible to visit the nests, the newborn baby turtles and free some of them at sea. The excursion is also suitable for children, from 6 years. No special technical knowledge is required and transport arrives directly at the observation site. 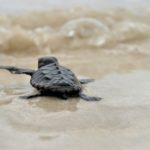 Why do a turtle excursion? A sea turtle lives 100 years on average. After birth, it remains in the sea 20 years and then returns to the place where it was born to nest. Without GPS. In the darkness. It is a miracle that should not be lost: it’s like to see dinosaurs.